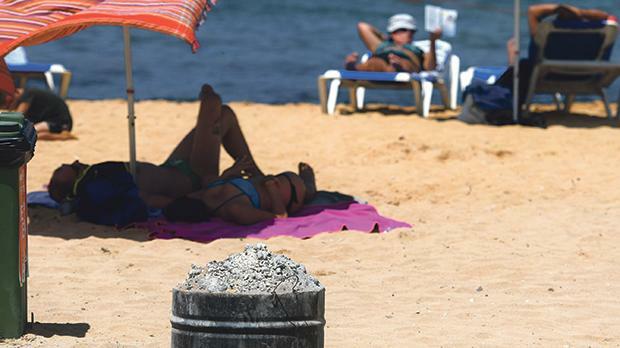 Beachgoers at Ġnejna Bay were met on Thursday with a considerable amount of algae and metal bins overflowing with burnt charcoal from the previous evening’s BBQs. Cleansing Department personnel were on site as soon as Times of Malta raised the matter with them. Director general Ramon Deguara explained that the bins were still too hot when the beach cleaner tried to empty them in the morning. The algae is expected to be removed on Friday as this has to be done manually due to the turtle eggs on the beach.